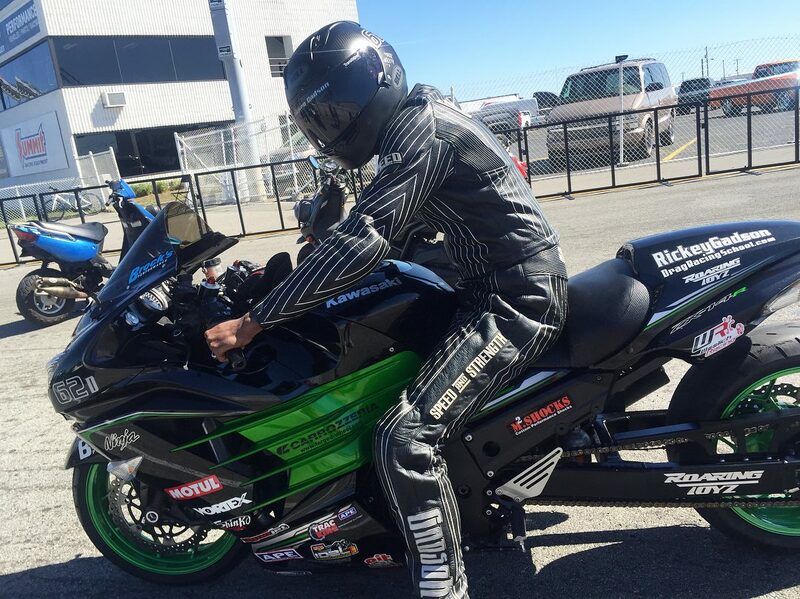 Motorcycle drag racing veteran Rickey Gadson enjoyed a successful NHDRO debut at the DME / Pro Stock Inc. World Finals from Lucas Oil Raceway in Indianapolis, Ind. Sept 29 – Oct. 1. Gadson, an accomplished pro racer, threw his Kawasaki ZX-14 in the back of his truck and returned to his roots, entering the M2 Shocks Crazy 8s class. 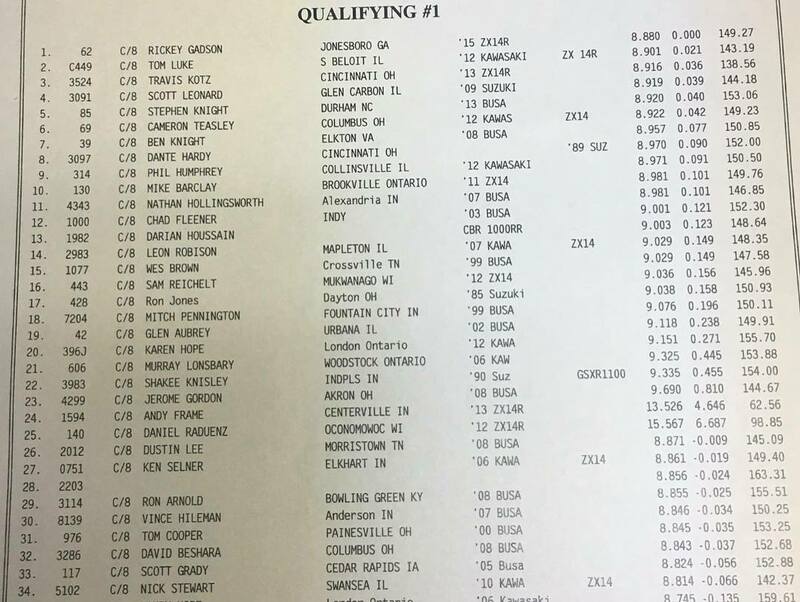 Gadson qualified atop the 35-bike field with a perfect 8.800 at 149 mph. “I was the first person out during the very first session,” Gadson said. Gadson chopped his way through the first three rounds of competition before suffering a -.003 red light in the fourth round. Gadson’s winning e.t.s were 8.88, 8.92 and 8.90. Gadson, the 11-time champion was very pleased with his first NHDRO outing. It has the experienced racer excited for what will be a gigantic race, the DME Fall Nationals, Oct. 6-8 at Maryland International Raceway. Gadson will enter Vance and Hines 4.60, FBR Shop 5.60 and World Wide Bearings Crazy 8’s. Gadson is also excited about his show, Caffeine and Octane moving to Thursday nights at 8:00 and 8:30 on NBCSN. On Friday Gadson will attend a special premier before heading to the IDBL race.